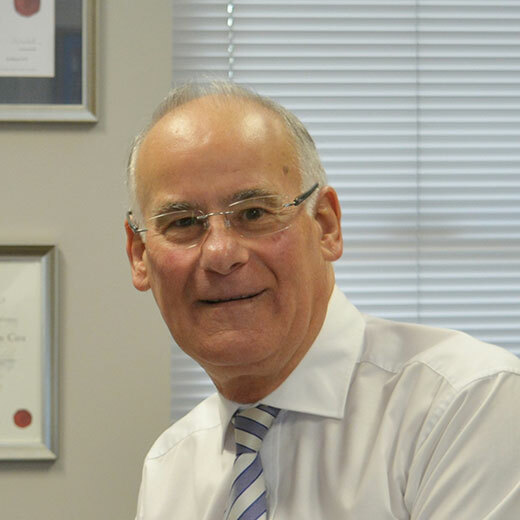 Don Cox commenced public practice in September 1972 as “Donald W Cox & Associates in Glenroy. In December 1972 the practice moved to Niddrie, then to Essendon in June 1978, where it has operated to this day. In July, 2000 Wayne Mynott, a long-time employee of Donald W Cox & Associates, was admitted as a partner, and the firm Cox Partners Accountants Pty Ltd was established. Cox Partners Accountants has serviced the local and surrounding community for over 40 years and remains committed to providing up to date professional advice with the view of being a “business” partner of our clients and to ‘add value’ to our clients financial situation. Don is the founding and managing partner of Cox Partners Accountants. Having commenced public practice in September 1972 Don has provided Accounting, Audit and Wealth Management services to the community for over 40 years. In addition to his business achievements, Don has given back to the community by maintaining an active role with Rotary. He has served as President of the Rotary Club of Broadmeadows, District Governor (2000-2001) as well as being a member and Vice Chairman of the Rotary International Finance Committee. Don has also held numerous other high profile roles within Rotary of which he continues to actively participate alongside his wife, Joan. He has been recognised for his service to the community with the Rotary “Service Above Self” Award. Outside of the working environment Don enjoys spending time with his family and friends, travelling,cricket, horse racing, big game fishing, walking the dog as well as watching his beloved Essendon Bombers. 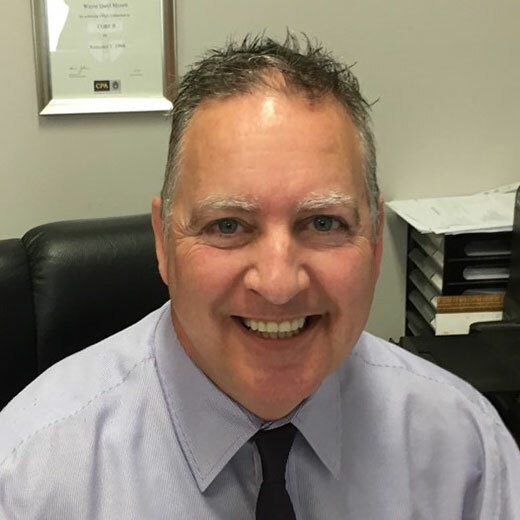 Wayne commenced working for “Donald W Cox & Associates” in Essendon in 1987 as a fresh faced Trainee Accountant after completing a Certificate in Business Studies (Accounting) in 1986. He was admitted as a Partner in 2000 at which time the firm changed it’s name to Cox Partners Accountants. During his time with the firm, Wayne completed his Bachelor of Business (Accounting) from RMIT on a part-time basis. The next step was to study for his CPA which was completed in February, 2000. From July, 2000 Wayne has been the Partner responsible for the Business Services requirements of the firm. Wayne has a passion for tax and small business accounting and since 1987 he has maintained a good rapport with his many valued clients, growing both business and personal relationships along the way. Over the many years Wayne has been a member of the firm, he married his lovely wife Theresa in 1990. Together they have four beautiful children, two girls and two boys. Other than spending time with his family, enjoying camping and boating activities when the opportunities arise, whilst during winter Wayne loves his football and is an avid Kangaroos and Melbourne Storm supporter. Janine joined Cox Partners Accountants in September 2013. Utilising her extensive managerial experience derived from many years’ experience working and managing companies in a diverse range of industries, including financial services, manufacturing and distribution, a Queensland based holiday complex to a mid-sized transport company. Janine brings with her refined and resilient people management skills and is a key element to the efficient operations of Cox Partners Accountants. Outside of the work environment, Janine likes to spend time with family and friends – especially her growing number of grandchildren. Jenny completed her Bachelor of Business in Accounting Degree at Swinburne University in 2008. Since then, she has gained further knowledge working with various firms and has experience in accounting and taxation for different type of entities. She specialises in Self-Managed Superannuation Fund (SMSF) administration utilising Class Super Software. As a mother of a toddler, who she adores, she joined Cox Partners Accountants in 2013. Jenny is passionate about her work, dedicated to her clients and loves a challenge. At home, she is committed to her family life and enjoys her free time and traveling with her family. Chloe joined Cox Partners Accountants in August, 2010 and is currently our receptionist and administration assistant. Her day to day role varies depending upon the daily requirements of our firm. Over the time that Chloe has been with our firm, she has become responsible for processing of our client’s Income Tax Returns using our computerised tax preparation software. Working closely with the partners, she processes all of the computerised documentation for our client’s corporate secretarial needs. As receptionist, Chloe will be the first person you speak to when you call or visit our office. Chloe will endeavour to establish your requirements so she can arrange for you to speak with the appropriate member of our team who can best assist you further. Chloe is responsible for making appointments for our professional team and she will do her best to ensure your requirements are attended to. Chloe, like her father is a sports nut. If you can’t play it, support it. Her interests include enjoying Aussie Rules as well as the NRL Competition (Melbourne Storm) and Cricket Australia. She is a current member of the North Melbourne Football Club and loves nothing more than a day at the footy watching her boys have a win.